An Egyptian store cleverly advertises its advantages. Egypt, 2000 - An Egyptian store cleverly advertises its advantages. 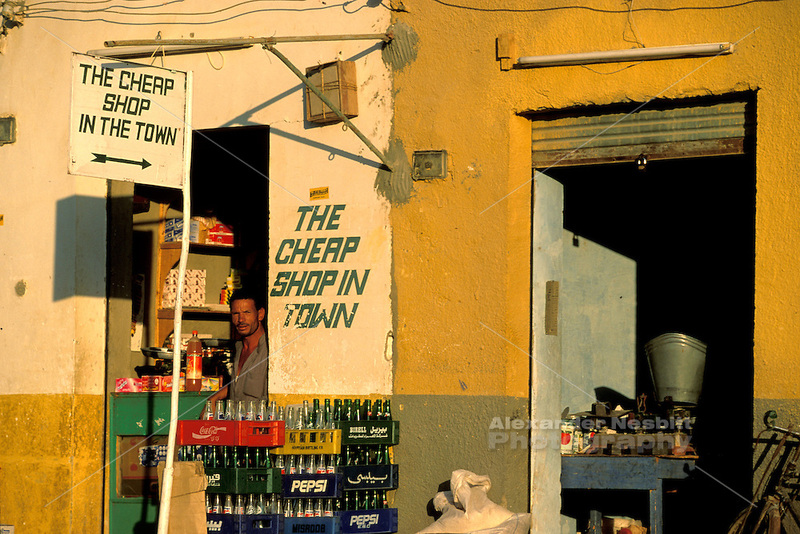 "The Cheap Shop in Town."